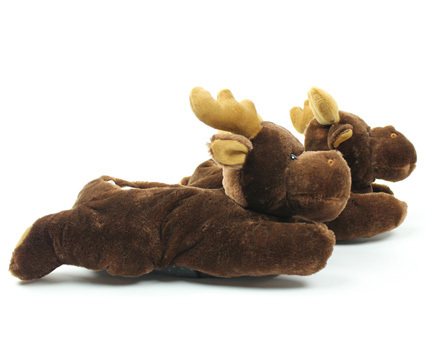 Roam free in these adorable fuzzy moose slippers! The plush fibers and supportive sole create an unparalleled slipper experience. 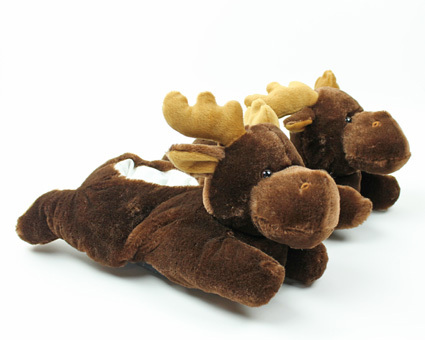 These moose (meese?) hug your entire hoof, sealing in warmth. 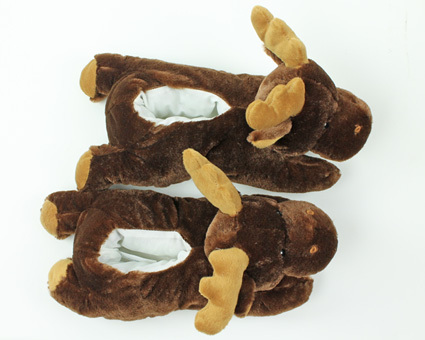 From the wilds of Alaska, right to your home, these moose slippers are an obvious choice for any animal lover. Super cute slippers. Very well constructed with good materials. Extremely soft and nice and warm. Advantages: Super cute slippers. Very well constructed with good materials. Extremely soft and nice and warm. Disadvantages: I wish more sizes had been available when I purchased them. They are just a bit small for my girlfriend. However, she still loves them. I purchased these slippers as a gift...and what a wonderful surprise and big hit!...my cousin showed them to all of her neighbors! Very nice. Not worn they are a gift. Adorable! My 16 year old daughter "just had to have these" for Christmas and she loved them. 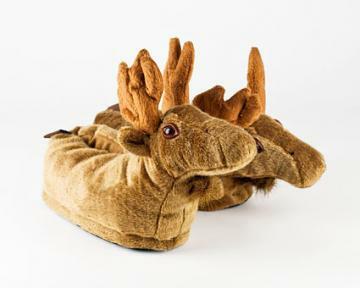 Just gotten these moose slippers a few of weeks back. 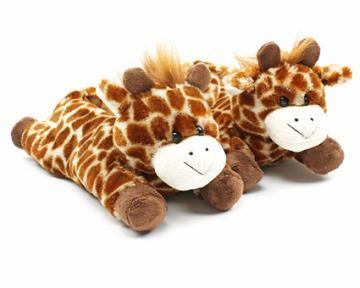 They are one of the cutest slippers I bought in a couple years. Love the way the horns and ears look. The low star rating comes from the durability of the slippers. 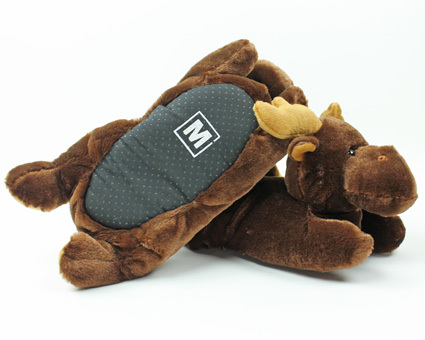 Advantages: The superman pose of the moose is adorable. 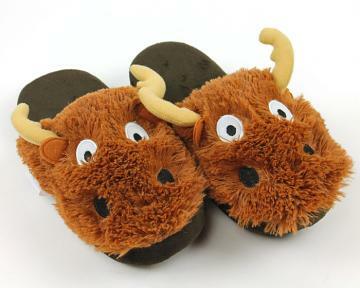 The slippers warp around the whole feet 360 degree, very comfortable. Disadvantages: There is hardly any sole on the bottom. The bottom of your feet feels okay when you are walking on carpet but feels like bare footed once you walk on hard wood floor. The snug fitting can warm your feet very quickly, not recommended for people with sweaty feet. So soft!!! I was kind of worried because they were "one size" however I got them for a friend who's a women's size 8 or 8 1/2 I'm not sure and they fit her perfectly. So I don't know if you're a girl was a size 6 but I think they fit a bit loose but I not sure. Anyways they're the softest slippers ever my friend doesn't even use them on her feet she just cuddles with them. Honestly they're really cute.